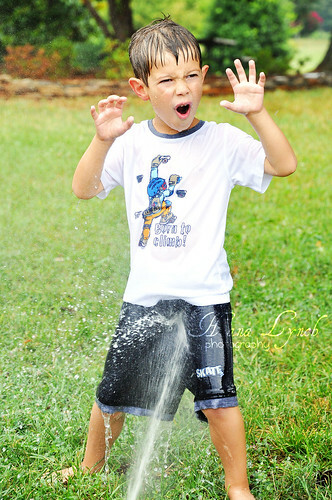 the MomTog diaries: The Perks of Summer: Sprinkler Fun! 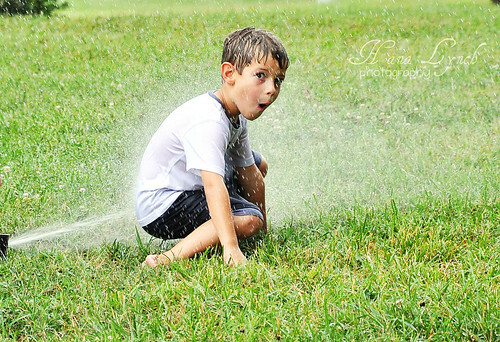 The Perks of Summer: Sprinkler Fun! 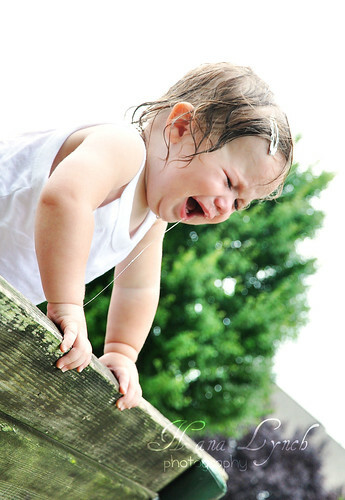 Today my parents & I took the kids up to the neighborhood playground to let off some steam. About five minutes after we arrived the sprinkler system turned on and the kids begged to ditch the playground and run through the water instead. I consented and what followed was pure summertime fun! Unfortunately I didn't have my camera on hand so I made a quick run to the house to retrieve it. 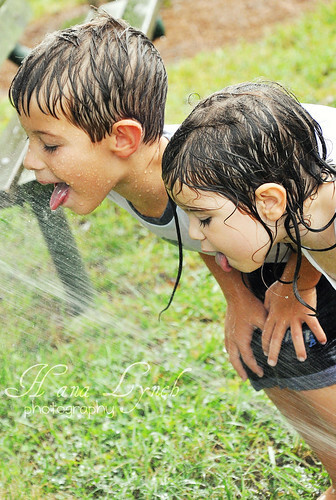 I just couldn't bear the thought of not getting to capture such joyful moments of my children being children! Here are my favorites! I hope you all are taking full advantage of summer as well! 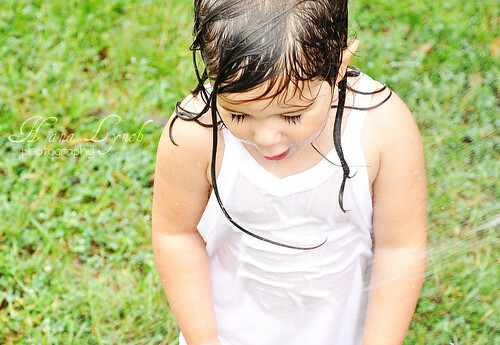 Ella was the only one who didn't enjoy getting wet! She was mad at me b/c I wouldn't carry her while I was taking pictures. I eventually picked her up and made her happy! Like usual... these are gorgeous and HILARIOUS!!! These are gorgeous. I look forward to following your work. great pictures!! i can't wait to see the ones you take of my girls! !